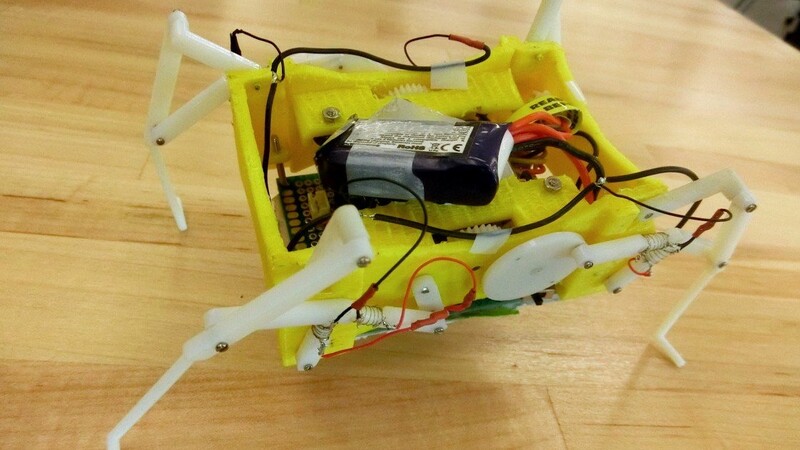 Researchers at Colorado State University have developed a miniature robot that can re-form its own legs to change its gait on the fly. Rather than settling with just one skeleton, the tiny bot can alter its &apos;bones&apos; to change the way it walks to suit different terrain. Its skeleton is rigid at first, but tiny joints within it become flexible when a current passes through them. Robot pets and companions: useful or sad gimmicks? Once softened, the joints can be moved into a different position. They will freeze in their new configuration when the current is stopped, giving the bot a whole new walk. Robots are typically highly specialized, designed to perform a single task as well as possible, but this adaptive technology opens up a lot of possibilities. The team behind the bot are hoping to develop new models that are capable of adapting themselves for walking, swimming, and even flying. They foresee future versions being useful in disaster recovery and military surveillance. For the time being, you can see how the adaptable skeleton works in the video below, and witness the bot adapting its body to fit under an obstacle. It&apos;s not quite the Terminator, but it&apos;s impressive nonetheless.